Our friends at The Leonardo have a very cool project that we just had to share with our readers! The UpCycle Project takes items destined for the landfill and uses them to fuel innovation and creativity. Residents can drop off their old clutter which will then be up-cycled into a cool Art or Science project. Then stop by The Leo’s Tinkering Garage or the art Lab @ Leo to take part in one of their fun up-cycling activities! Materials can be dropped off any time during regular business hours. More information is available on their website. 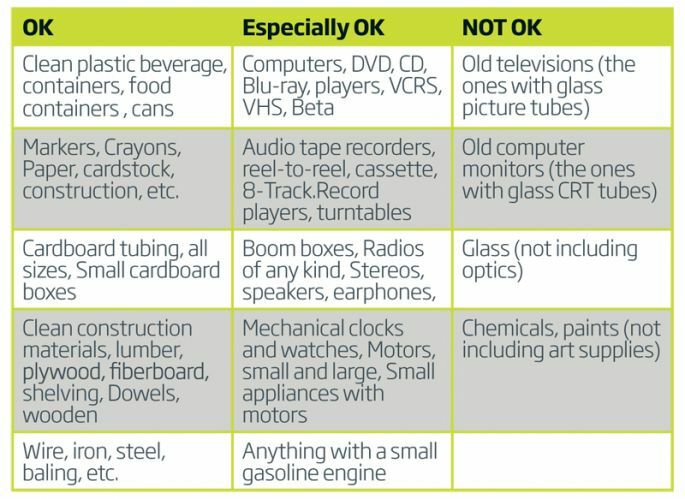 ← Saturday E-Waste Events This Summer!